Time is quickly approaching for the 2015 SU Marching Band to begin and “the most wonderful time of the year” – BAND CAMP. 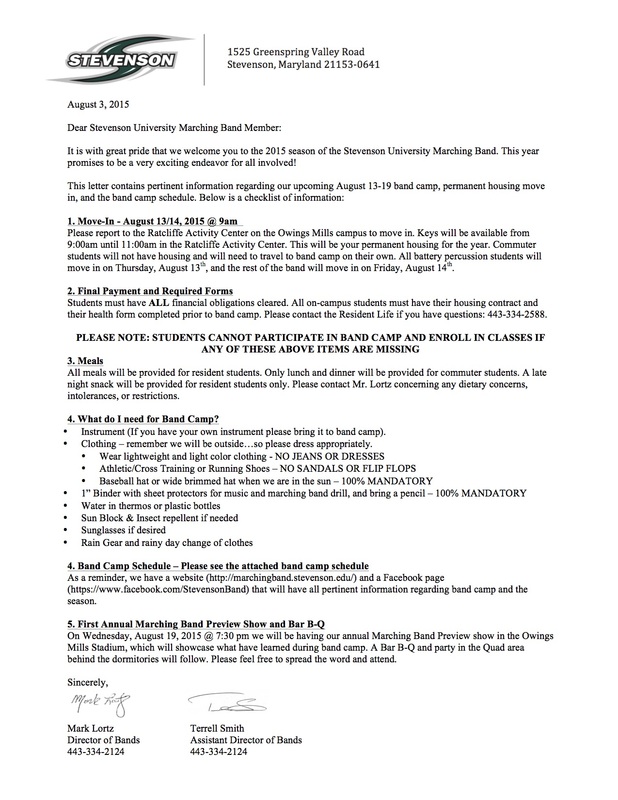 Attached is the band camp letter and schedule. 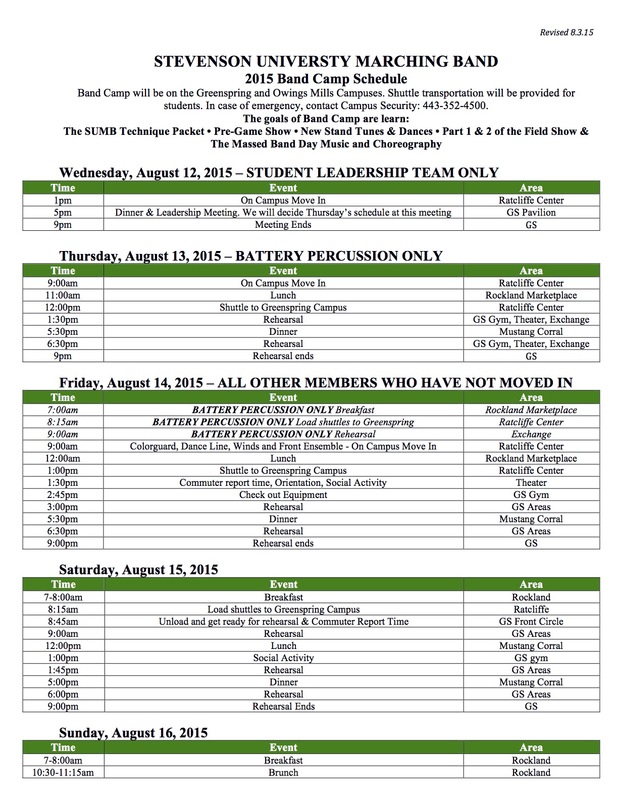 Detailed information can be found on the SUMB Website Calendar.